Welcome to Moreton-Bribie Bridge Club. Bribie Island is a popular holiday venue for families from Brisbane and the South-Western area of Queensland. Favourites for visitors are the surf beach at Woorim and the tranquil waters of Pumicestone Passage. "The Passage" as it is fondly known by Locals is a safe haven for swimmers, fishermen and all water sports enthusiasts and a well known spot for "Dolphin Spotting". Other attractions include the Seaside Museum and The Butterfly House. There are many photo opportunities to be found including the sunset from Bongaree, the majestic Glasshouse Mountains and in the Bribie Island National Park. Statistics from the 2016 Census show that Bribie Island is "The Retirement Capital of Australia" and so it is fitting that Bribie Island should have a Bridge Club. In 2016 The Moreton-Bribie Bridge Club celebrated 25 years as an accredited Member of the Australian Bridge Federation. 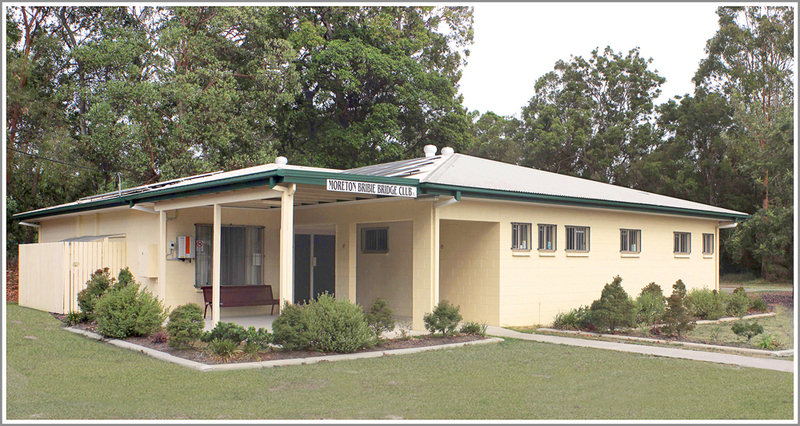 The Club is centrally located in the Moreton Bay Regional Council Sports and Recreation Reserve. We have a purpose built, air conditioned building capable of accommodating 32 tables. We conduct four Bridge Sessions per week, details are listed under "Sessions" on this website, and we would love you to join us. If you require a partner, details for our Partner Organiser are listed under "Contacts" on this website. We have over 100 Members playing at all levels of Bridge and we will be able to organise a suitable partner for you. Alternatively, our sister club, the Bribie Island Contract Bridge Club, is not affiliated with the ABF, but would welcome you at their Monday morning sessions. Please telephone 07-3408-3716 for more information.